Time for an oil change? You’ll find lightning-fast Volkswagen oil change services in St. Cloud, Minnesota at Eich Volkswagen, a full-service Volkswagen dealership with a wide array of new and used Volkswagen vehicles. When it comes to keeping your Volkswagen model running smoothly and protecting it from ravaging wear-and-tear damage, staying on top of auto maintenance, especially oil changes, is crucial. Keeping your vehicle equipped with fresh oil will ensure that your engine’s components are well-lubricated and free of abrasive particulates and acids which can quickly and drastically damage your engine. In addition to saving you from the expensive, stressful chore of premature auto repairs, routine oil changes can improve your fuel economy and improve overall engine function. Most Volkswagen vehicles are recommended to have an oil change every 7,500-10,000 miles, although this varies based on the needs of your specific model. 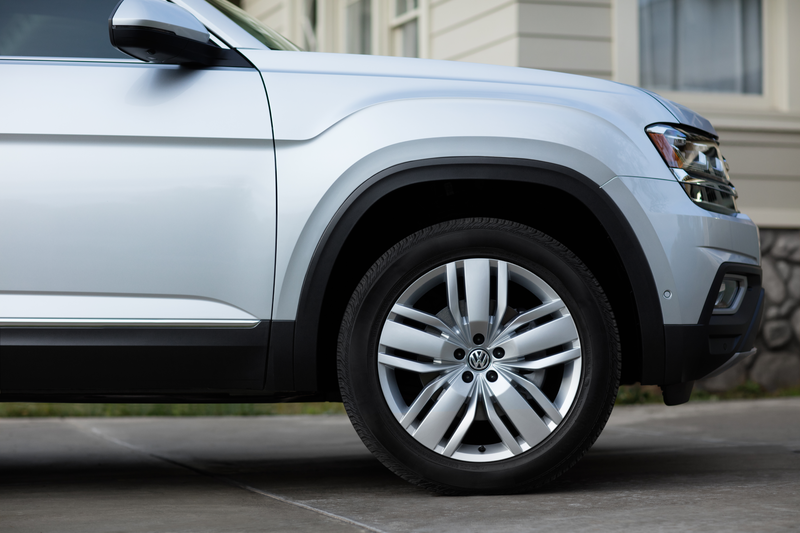 With our Volkswagen Service Xpress program, you can enjoy appointment-free, in-and-out Volkswagen service for a wide variety of Volkswagen routine maintenance needs. At Eich VW, it’s never been easier to stay on top of your Volkswagen service. Come see for yourself today! Service your Volkswagen vehicle at your trusted Saint Cloud, MN Volkswagen dealership. Eich Volkswagen is committed to providing St. Cloud, MN drivers with top-of-the-line Volkswagen maintenance and repair services. Your vehicles deserve nothing but the best in auto service, which is why you can trust yours to our reliable auto experts. Year after year, modern vehicles become increasingly complex. Because of that, the potential for error increases, particularly if your car is in the hands of a run-of-the-mill mechanic without specialized training. As a certified Volkswagen dealer, every mechanic at our auto service center is extensively trained and certified specifically in Volkswagen vehicles, so you can count on them to get the job done right every time. Our facilities are also equipped with cutting-edge technology and a full selection of Volkswagen parts to ensure your vehicle is properly diagnosed and repaired. With complimentary coffee and beverages, courtesy shuttle and rental vehicles, convenient hours, and our in-and-out Volkswagen Service Xpress program, we do everything we can to improve your service experience. To learn more about the benefits of servicing your vehicle at Eich VW or to inquire about synthetic oil changes or conventional oil changes, give us a call or speak with us in person at our Volkswagen service center in St. Cloud, MN! In addition to our Volkswagen oil change service, Eich VW offers a comprehensive selection of Volkswagen maintenance and repair services including tire rotations, engine tune-ups, transmission repairs, brake service, collision repairs and more. For select Volkswagen routine maintenance services, you can stop by for appointment-free service via our Volkswagen Service Xpress program. For more extensive Volkswagen service and repairs, just book an appointment by using our online scheduling tool. Don’t hesitate to give us a call or visit if you have any questions along the way. We hope to see you soon at our St. Cloud, MN Volkswagen auto service center.